Whenever a pattern tells you to draw a line.....DON'T!! Use the drop-down arrow to see multiple pricing! The CPA will be the most practical notion you've ever used! 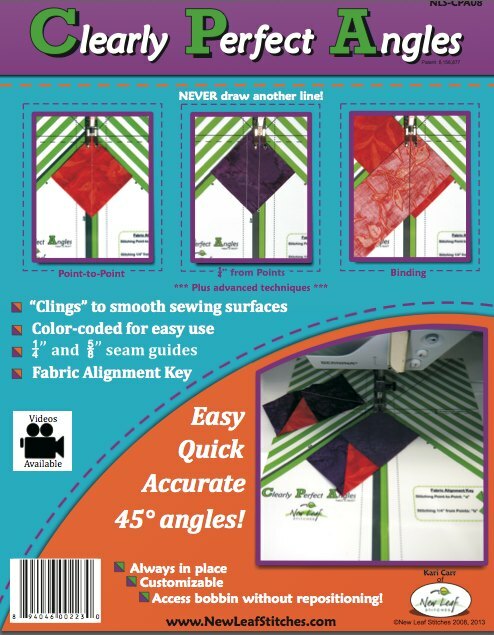 It "clings" to smooth sewing surfaces (no taping) so it's always in position ready to sew ANY 45 degree angle accurately. You will appreciate the Fabric Alignment Key and 1/4" & 5/8" seam guides. It's also color-coded for different techniques. And to answer one of the most common questions...No, it does not need to be removed to access your bobbin or move your table. Please refer to the photos for additional information and techniques. Do you have multiple machines? Are you looking for a gift? Do you have friends who would also benefit from the CPA? Take advantage of the quantity discounts! 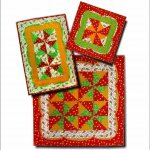 Perfectly Pieced Half-Square Triangles: Without Drawing Lines!